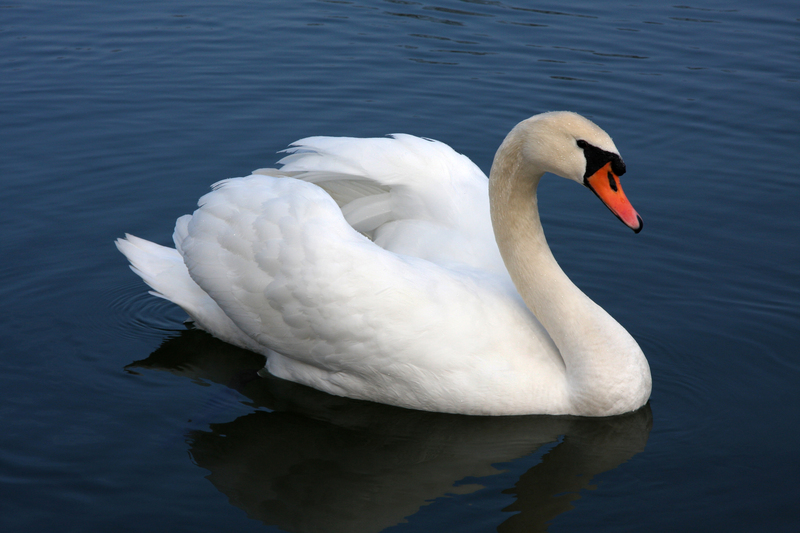 Today I want to write about one of the most beautiful birds in the world, the mute swan. These elegant looking birds grow up to 1.6 metres long and have a wingspan that is over 2 metres wide. They are the largest bird in Britain. Mute swans mate for life and use the same nest every year. Their nest is a large mound of vegetation in shallow water at the edge of a lake. They lay about 4 eggs and the cygnets are unable to fly until they are about 4-5 months old. If they live in cold areas, it’s important that the cygnets learn to fly quickly so that they can migrate to warmer areas before their lake freezes over. They are very aggressive at breeding time and will attack anyone who comes close to their nest. At first they hiss a warning, then they attack with a bony spur in their powerful wings and bite with their hard beak. They eat a wide range of plants, on land and in water, using their long necks to reach plants under water. Mute swans are very common and can be found throughout Europe and central Asia. They have also been introduced to Australia, New Zealand, South Africa and North America. Are there any other interesting facts that you would like to share about mute swans?